Finance Services and Banking industry — Explore new ICOs for investment. Our project compares various ratings of the best agencies: ICOrating, ICObench, ICOmarks, TrackICO and ICOholder. You can easily find, select and track top rated ICOs with our up-to-date database. Join the Thousands of People using CryptoTotem. MassChain is the blockchain service system dedicated to global gambling ecosystem. BitCanna is a decentralized Payment network, Supply chain and Trust network for the legal cannabis industry. Finance and Banking project is a huge industry that deals with billions of dollars. There are various blockchain startups that will take the bull by the horns with its process because they know what they are doing. Blockchain startups are not using cryptocurrency and ICO. Unfortunately, these startups are facing such issues as not having enough findings. Investors are interested in potential profit but need more information to make to a proper decision. 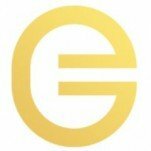 There is other innovative cryptocurrency company that is moving the world of finance to a new level. They have designed a solution that will pay suppliers of gift cards with real money when buyers take advantage of their offers. These innovations will support companies with cash, and that is a great thing for any firm out there. The market is huge because businesses need cash all the time and these companies will give them what they want. The firm will also teach entrepreneurs and business owners about the cryptocurrency lingo right off the bat. With ICO and cryptocurrency, only the sky is the limit. We are proud to present you a comprehensive and organized list of platforms to invest in. The category that we have is amazing. It provides a high quality up-to-date information, so investors will be experts and make the right choice. If you have any questions about blockchain, cryptocurrency or ICO, feel free to ask us, we are more than happy to help you.